So, I resisted all some of the distractions on Wednesday, and, after I'd done everything I had to do, I wandered upstairs. A year ago, if you had asked me how often I scrapbooked I would have said - every day, if I can. These days? Mmm, not so much. It's not that I don't want to - it's more that I don't want to make a start. Maybe changing things up a bit might help? Recently I've been making pages with big blocks of colour or pattern Museum, for example, or King of his Castle. what I've liked is the best of both worlds feeling: plenty of the patterned paper I love combined with enough clear white for journaling, or resting the eyes. When I looked again at those layouts, it suddenly came to me that they might look interesting smaller. On a neater canvas. On 8.5x11. I thought about it. 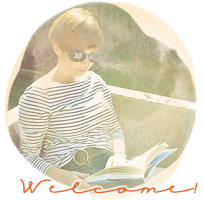 I turned to Pinterest, of course, and I very quickly realised that this smaller size seems to be having a bit of a moment. The galleries are full of it. 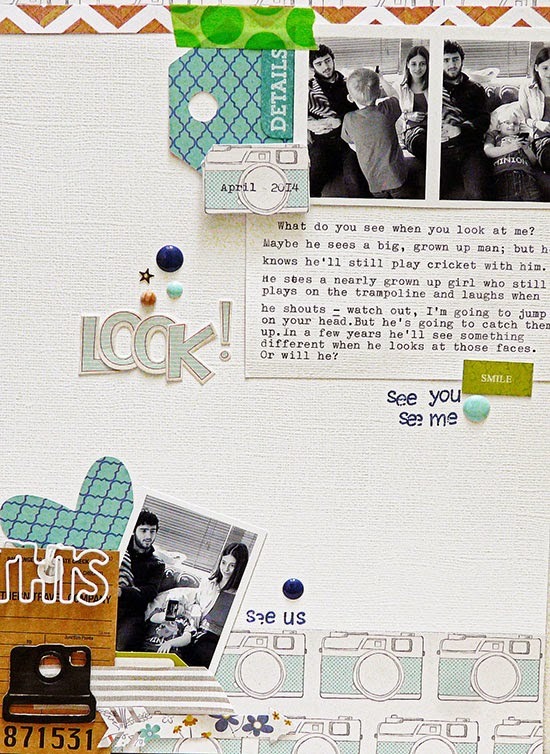 All of my favourite, inspiring scrapbookers have been trying it over the last couple of kit releases. And I think I can see why. I've been scrapbooking long enough now to have filled several big, bulky albums. I'm going to run out of shelf space if I don't take evasive action soon. Going small sounds good. Neater sized albums and a differently shaped canvas? Sounds like a challenge! Any time I wanted to cut and stick I could lift one of these "diary pages" and start embellishing. I tried it. As it turned out, I tried an ink splat over my typing and din't like what happened, so I actually ended up re-doing the words and sticking it over my original. But I had to start somewhere and starting by going wrong has just made me more determined to make another page this way. It's (Inter)National Scrapbook day tomorrow. Scrapbookers right across the record keeping world are getting ready with page kits and sketches and challenges> here's my suggestion: open a diary, click on an old blog post, find a story and copy it onto your canvas first. If I could print onto 12x12 I would, but I can't, so I'm going small (some of the time), and I'm going to see where it takes me. I'll let you know how it goes. i love this one! that unexpected shot of green is just fabulous! I love this size page and use it a lot....most of my 'shorter holidays' albums are this size. Papermania used to make an album this size which was very reasonably priced....sadly they no longer make them....and the American ones are much more expensive. I do have moments of scrapping in A4 using a standard cheap office binder and standard slippy pockets - ideal for the children too! Its nice to change it up and bit isn't it?! That's exactly the size I was using before I discovered that scrapbooking was a hobby and there were special papers and albums and stuff. I think it is an excellent size. 8.5x11 has been a very popular size for simple scrappers/hybrid scrappers for exactly the reason you discovered ... you can put the cardstock through the printer. I started with 12x12 but quickly went to 8.5x11 and have now returned to 12x12 being fully digi. Only thing is, the 8.5x11 albums are not all that much smaller than the 12x12's .... that used to annoy me! I love working in different sizes. This is just the push I need to do a bit of scrap booking tomorrow. Great page and an interesting starting point. I like this size. I find it easier to deal with than a square. I think it's because it's the same format as my standard cards. You've put me in mind of the Mark Twain quote: "The secret of getting ahead, is getting started." A sentiment that is resonating with me right now. I´ve made the "cut" for the kids albums. 12x12 from birth to 15 and the smaller from then onwards. Extended family was smaller from the beginning. Home is A4. Lots of things talk to me in this post. The size, I keep wondering about just buying a D ring fat ring binder and just starting in that size... The colours, oh, I love them so much. But your writing on the actual page, so beautiful as always! Cute page and fun journalling! An album is an album ... they take up the same shelf space apart from the depth! You'll have to go digi if you're running out of room!!!! SOmehow I don't think you will ... just take over the kids' bedrooms once they've moved out! An interesting post Sian. I've done the odd 8.5x11 but I have so much 12x12 cardstock and albums. I like the ideas you suggest though I might just have to give it a go. Delighted you've enjoyed a different size and the possibility of two orientations - and double pagers offer additional variety :). This page combines all your best features - great initial idea, neat title, thoughtful journalling, white space, interesting 'bits' to hold the eye .... lovely! 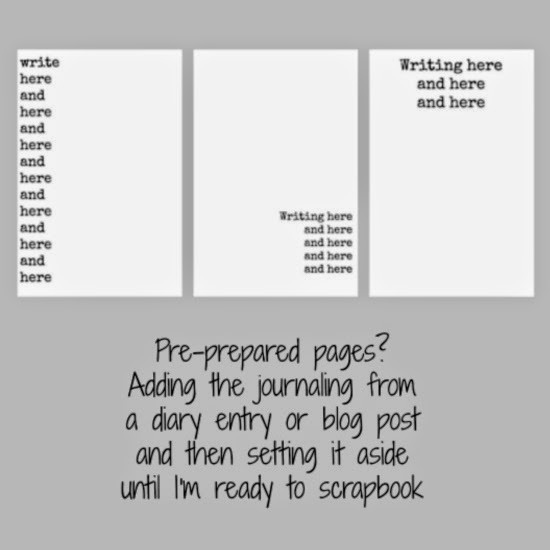 A great idea to have the journaling prepared first - I have a few Word documents saved on my computer with journaling for future layouts. It has never occurred to me to type up the story first and then work around it. I like it! I also like the idea of doing that with any story---and putting it aside until there's time to add the photos. Also, I love your "cut out" title "LOOK!" I mostly make 12x12 pages, partly because I seem to have difficulty getting everything to "fit" on 8.5x11! The B&W photos work really well with your colour scheme and the pop of green is fab!